One switch can have multiple VLANs that connects to different network. 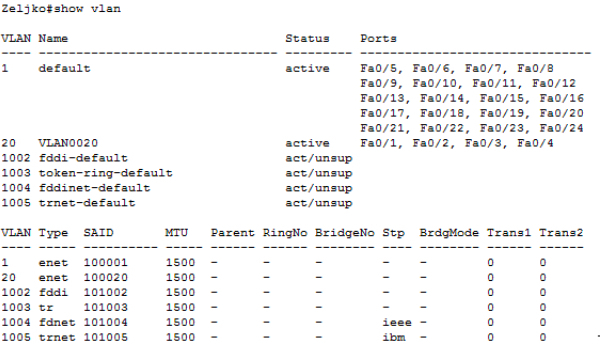 For example, networks 10.10.20.0, 10.10.30.0 and 10.10.40.0 can on reside on the same switch thanks to VLANs. 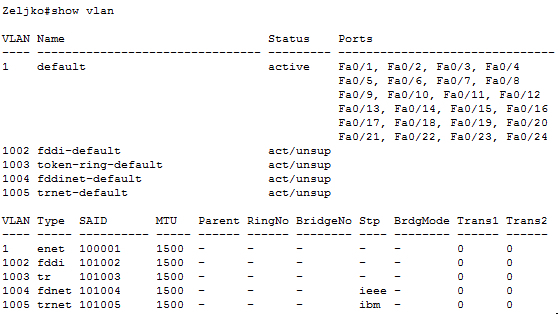 If you check with Zeljko#show vlan , all ports are back to VLAN 1 and VLAN 20 is deleted.